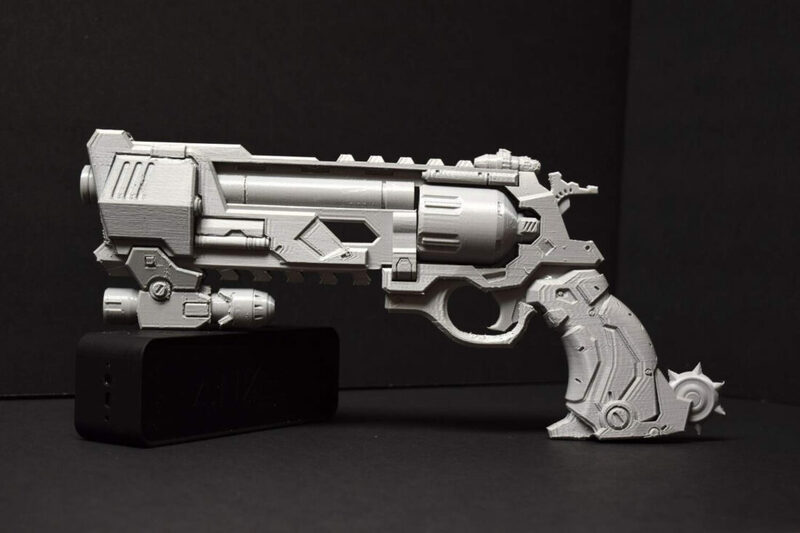 If you’re an Overwatch fan or just need an obnoxiously large and enormously uncomfortable, yet completely badass pistol to tote around, look no further. It doesn’t fire bullets, pellets, Nerf darts or anything else, but with McCree’s Blackwatch Peacekeeper in hand, people will know you mean business (nerdy, gamefan business). And, should you need to use it to defend yourself, you could do worse than a solid, gun-shaped chunk of solid plastic. Jill Cope is our fav new, super geeky prop maker supreme. She’s made all sorts of weapons including Hanzo’s bow from Overwatch and the Underlight Angler Artifact from WoW. She runs Obsydiann Props building all sorts of costumes and props on commission. 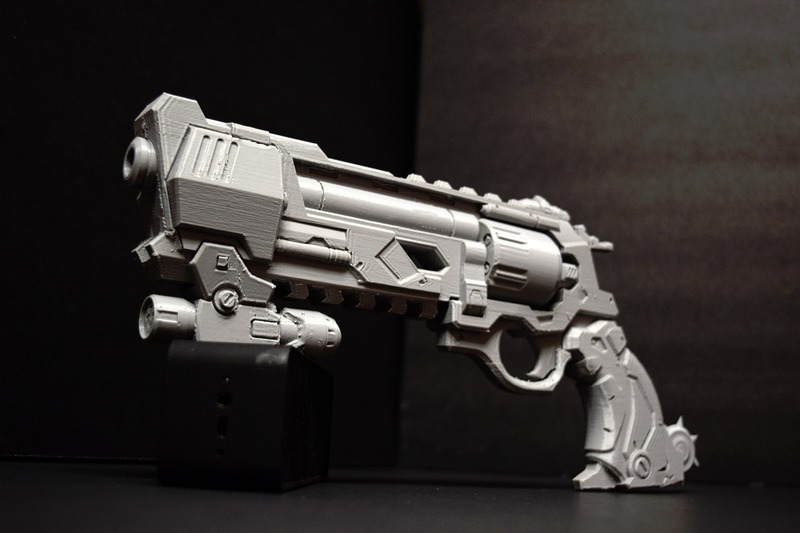 She shares quite a bit of her work on MyMiniFactory, including her latest work: The Blackwatch PeaceKeeper. This gun is wielded by Jesse McCree in the new Overwatch Uprising. He’s 100% hero who likes both kinds of music – COUNTRY and WESTERN. He’s only 6’1″ tall but needs a weapon that matches his attitude. Total size of Jill’s prop is 14″ x 6.25″ x 2″. There are no moving parts on this version, but she has plans for another. 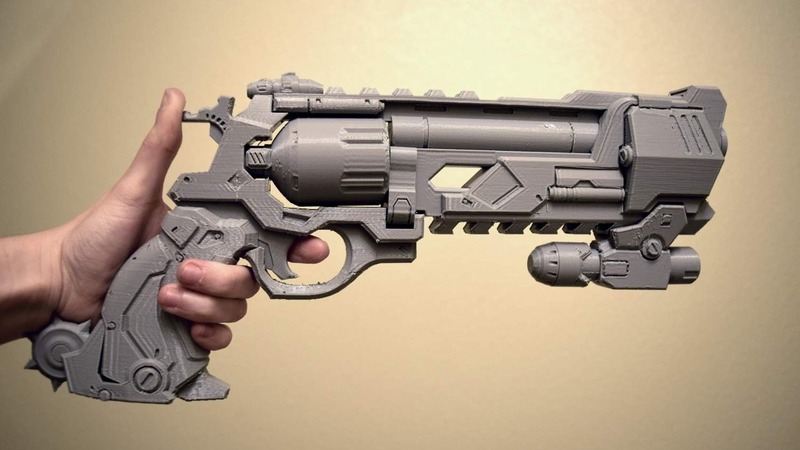 Me, I’m thinking a Nerf Strongarm mod. Oh yeah!